Kanban Task Manager is a kalmstrom.com solution that helps a workgroup manage their projects and tasks on a virtual kanban board. Apart from the Outlook Workgroup and Single editions, Kanban Task Manager comes in two SharePoint editions: sandboxed solution and add-in/app. Here I will discuss benefits and drawbacks of the add-in as compared to the sandboxed solution. We have chosen to develop and market two SharePoint editions of Kanban Task Manager, a sandboxed solution and an add-in. Even if nearly all the features are the same, there are some differences that made us decide on two editions. I will mention a few of the differences here, and you can find a full list on the kalmstrom.com comparison page. If you are using SharePoint 2010, the Kanban Task Manager sandboxed solution is the only option, because add-ins were not introduced until SharePoint 2013. However, if you are using a later SharePoint on-premises, or SharePoint Online, you may use either edition. Some organizations prefer the add-in edition of Kanban Task Manager, because it is easier to install. The sandboxed solution must be uploaded to each site collection's solutions gallery and then activated there and on each site where it should be used. 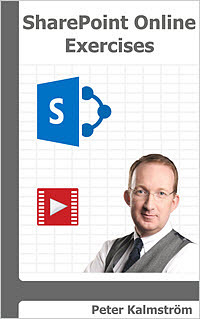 Kanban Task Manager SharePoint Add-in, on the other hand, can be added to a SharePoint site directly from SharePoint Store, and it can also be published to the farm's or tenant's App Catalog and then added to a site with the "add an app" command. Even if there are a few less clicks to install Kanban Task Manager SharePoint Add-in, it has some limitations, like all SharePoint add-ins. These depend on the fact that the add-in architecture creates another SharePoint site to contain the app, what is called the "app web". The communication between the "host web" and the "app web" is constrained both by the way the SharePoint API works and by browser security limitations. Therefore, it is not possible to move tasks between different kanban boards or to show tasks from multiple boards in "My Tasks", when you use the add-in. With the sandboxed solution of Kanban Task Manager, users can do this if enabled in the settings. Another add-in limitation is that the task form does not support attachments, videos and inline images in the description field, something that works well in the sandboxed solution. To solve that problem, we have given the add-in a Kanban Task Manager App Part with another task form. This form works in the same way as in the sandboxed solution. When you are using the sandboxed solution, you can save a site with a Kanban Task Manager installation as a template, and that is not possible with the add-in. The sandboxed solution also supports all kinds of SharePoint groups, while the add-in only allows you to select a person or a permission group as responsible for a task. However, we have an idea on how to make the add-in also support all groups, and we hope to include this enhancement in the next version of Kanban Task Manager SharePoint Add-in. SharePoint Online has two kinds of team sites: the classic team site that is created in the SharePoint Admin center and the modern team site that all users by default can create from the SharePoint home page. I have discussed the differences in a kalmstrom.com Tips article about modern and classic site collections. The modern team site is more limited than the classic one, so the sandboxed solution of Kanban Task Manager cannot be used with these sites. The add-in, on the other hand, works well with both modern and classic team sites. If you have not yet tried Kanban Task Manager, you may download the full version of the sandboxed solution or the add-in and evaluate it for next 30 days. We provide full support during the evaluation period. The kalmstrom.com Support team is always here to help you if you should need any assistance. You can subscribe to Kanban Task Manager on monthly as well as yearly basis. In case you have any queries regarding product subscriptions, please do not hesitate to contact our Sales department.